How can we be half way through the year? I can't be the only person who thinks that this year is just flashing by. It's been a very busy June for us, and the lovely long hot days have meant loads of adventuring about the region in the sunshine. Fingers crossed the rest of the Summer is as good as this. 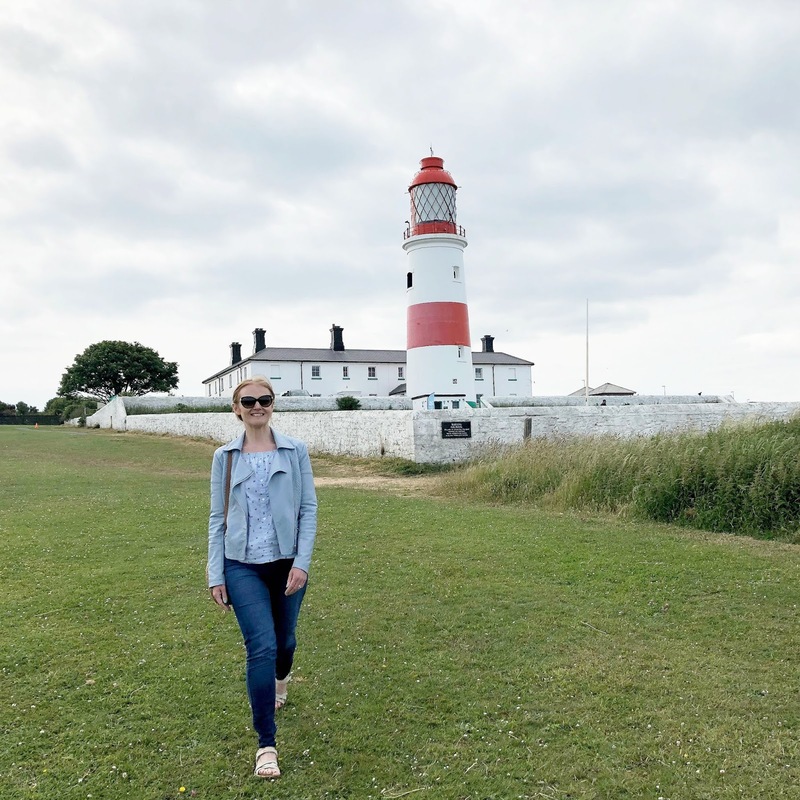 Here are a few things that didn't make the blog this month and, a little warning, as we spent a week of the month indulging in a North East staycation there are a lot of food recommendations this month! Every Geordie will tell you that it "always rains at The Hoppings" - not this year my friends! The 2018 Hoppings had to be THE hottest on record! Each year Europe's largest travelling fair visits Newcastle and we all lose our heads over eating too much ice-cream before making ourselves feel ill on the rides. My favourite way to enjoy the fair is to go for a little wander, it really does offer the best people watching! I took this photo on the top of the Ferris Wheel and the views across Newcastle were stunning. Our North East Staycation gave us the great excuse to try some different coffee shops and the clear winner of our week was Maddisons in Consett who have a cake counter to really write home about. I ordered myself a huge chunk of Galaxy Ripple Cake and a pot of tea and loved every moment of it. I'm going to have to return to try more - they also do an amazing sounding Mac n Cheese Toastie that has my name all over it. As much as we love the larger National Trust properties we've started exploring a little further and discovering some of the smaller sites starting with Ormesby Hall in Teesside. The Hall is beautiful and Simon particularly enjoyed the model railways (pretty sure he now wants to put one together in our house!) The gardens are small but a real sun trap, nothing beats sitting on one of the National Trust deckchairs catching a few rays and enjoying an afternoon snooze. Our month started in the best way possible with Food and Drink Week in Whitley Bay. The seaside town showcased their best restaurants and cafes with a week of special menus at reduced prices. 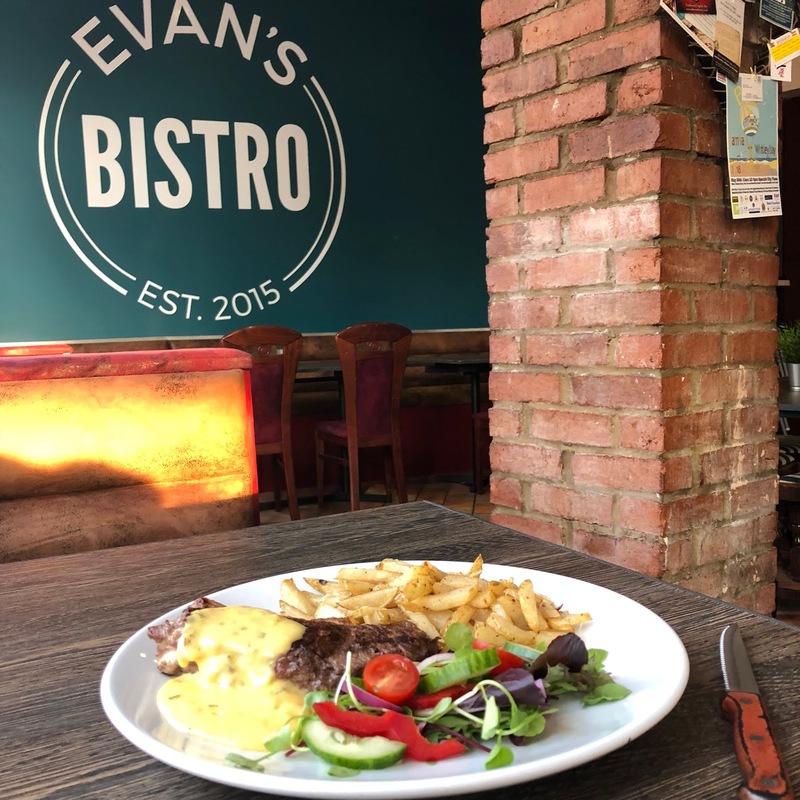 We went to one of our North Tyneside favourites, Evan's Bistro where we enjoyed 3 courses for £12.00 - this Steak Dish was SO good, the chips were epic! Of course I spent my saving on two large glasses of wine - oh yes! I am probably the most organised person you could ever meet, I am constantly making lists for my lists. So don't ask me how I managed to go away to the Lakes and forget to pack clothes to travel home in. Some might say I did it on purpose just to give me a great excuse to pop into Joules and panic purchase this gorgeous skirt. The perfect length, gorgeous colours and so comfortable - I think I'll have to forget my clothes more often. I have definitely reached that age where a potter around a garden centre on a Saturday afternoon is one of my very favourite things. This month we tried the newly opened restaurant at Plantsplus in Seaton Burn after hearing good reports about their food. Although we were a little disappointed at their sandwiches (the bread was very dry!) the scone was delicious! Served with a very generous amount of jam and cream it certainly hit the spot. We also loved chatting to the floppy fringed alpacas outside (although be warned they do like to spit at husbands!) We are always on the hunt for the perfect garden centre cakes so if anyone has a recommendation for others we should try please let me know. In desperate need to shift a bit of our Staycation Podge we decided to do The Leas walk from South Shields to Souter Lighthouse. It's such a stunning few miles along the coastal walk and offers some of the most dramatic views in Tyneside. Souter Lighthouse is National Trust owned so taking advantage of our membership we decided to go in for a little explore and discovered the Lighthouse Keepers Cottages before climbing up to the very top of the tower. The ladder at the top was a little scary but the views more than made up for it and we even got to turn the light on! I have wanted to visit Yarm for such a long time, it seems it's become quite the food destination of the North East! I'm not sure Simon has forgiven me for suggesting it yet after doing battle with the Yarm parking (it's not the easiest!) but I'm already planning a return trip after the most delicious lunch at Muse. I had an amazing Croque Madame and those chips, I'm still dreaming about them! If you're local to Yarm make sure you let me know where we should try next time. We finally visited Richmond on our staycation and although I was a little disappointed by the town centre (the cars parked all over the beautiful cobbled town square ruined it!) I completely fell for The Station, a beautiful old railway station that is home to independent businesses. We enjoyed the creamiest ice-creams from Archers and watched a film at The Station Cinema which was just amazing. I love independent cinemas, they are also so clean and quiet and have crystal clear screens. You know those mornings where everything just goes wrong? I had one of those recently when I headed to three different places for breakfast only to find them all either closed or having kitchen disasters! Luckily The Garage in Ouseburn saved the day and what a beautiful find, it made me forget the dramas in seconds. Located within an old garage, its small breakfast menu is perfectly formed and I had a delicious doorstop wedge of toast covered in mushrooms - I will most definitely be returning! I couldn't resist finishing with this adorable video taken from my Instagram Stories during a little trip to Pow Hill in County Durham. We went in search of red squirrels never thinking that we'd actually spot one but we were very lucky to run into this adorable fella who put on quite a little show for us before scurrying up a tree. We are so lucky to have a few places in the North East to see red squirrels. I'd love to know if you've ever managed to spot any? For more adventures from New Girl in Toon make sure you follow me on Instagram. I post a new photo every day and you'll find videos of my favourite North East adventures on my Highlights. With the arrival of the Great Exhibition of the North, Newcastle is the place to be this Summer and has given us all the best excuse to shout from the roof tops about how great life in the North really is. Our beautiful scenery, inspiring people, rich heritage and, of course, our wonderful food and drink. 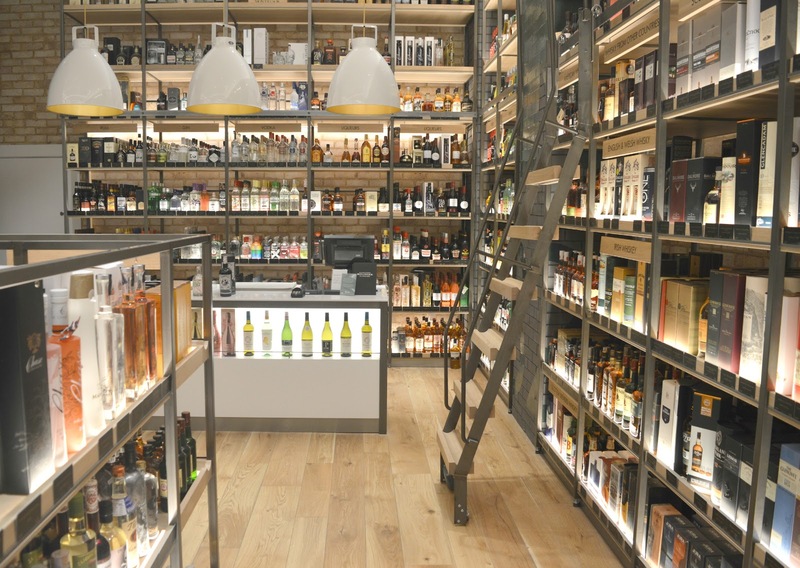 This Summer you can celebrate the very finest food in the North at Fenwick's Food Hall in Newcastle. Starting this weekend, Fenwick's Food Hall are waving the flag high for the region's best producers and chefs with a series of events that are guaranteed to leave your belly very happy. Last night I was very lucky to be one of the first to attend the Fenwick x Hepple Gin Window Experience. Over the next three days Fenwick will be hosting a unique four-stage gin experience along their famous Northumberland Street Window (I have to say I never thought I'd ever have the opportunity to step inside the Fenwick's window and it's pretty special)! 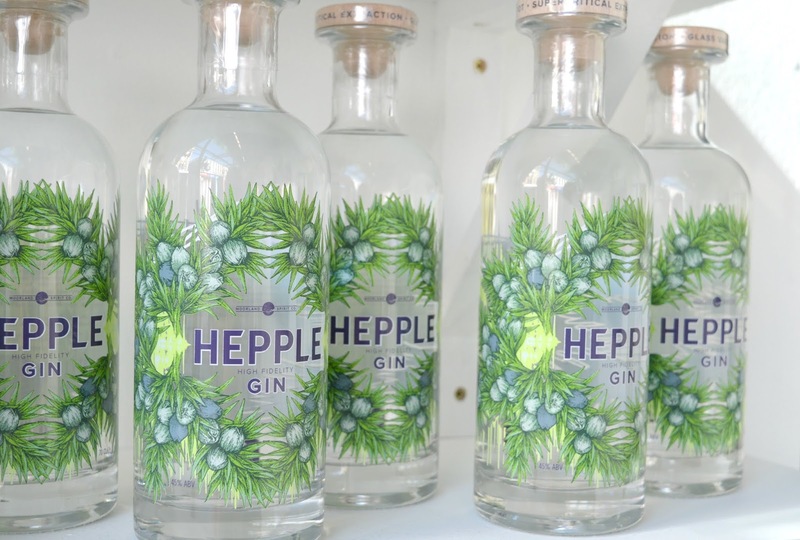 Hepple Gin showcases the very best in northern craft with their special gin created in the untouched Northumberland Moors. 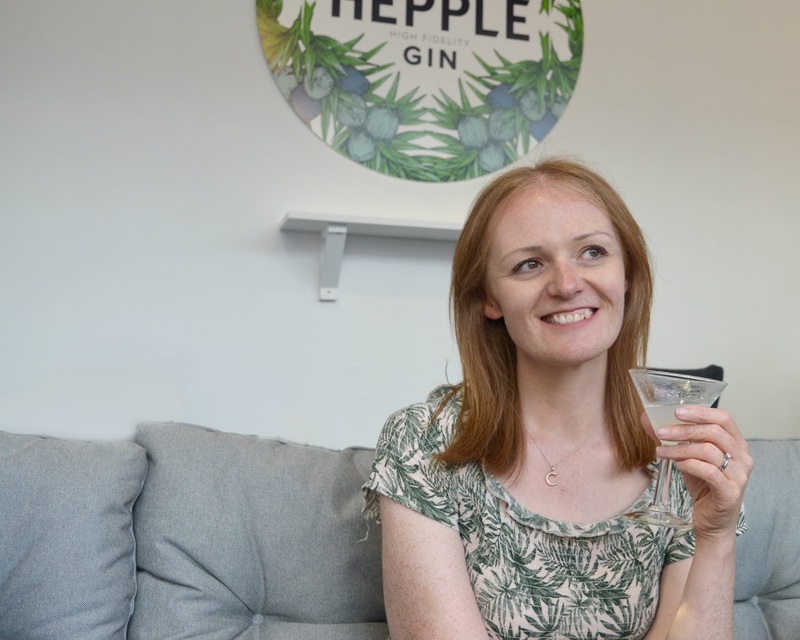 The event offers a rare opportunity to enjoy gin cocktails whilst learning about the Hepple Estate - from gathering wild ingredients to the techniques used to create Hepple Gin. A live demonstration takes you through the process of how green junpier is vacuum distilled to draw out the fresnhess of the berries to create Hepple Gin before learning how to create and enjoy a Marrtini and a White Lady at the Hepple Gin Masterclass. The event ends with the chance to sit back and relax in the bar with your Hepple Gin cocktail in the pop up bar in Fenwick's Window - let me tell you, it's the best people watching in the Toon! 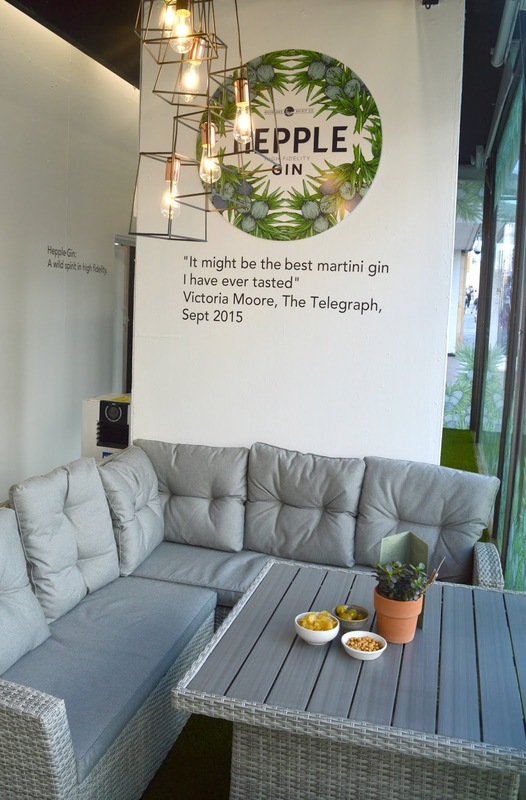 The Fenwick x Hepple Gin Window Experience takes place until Sunday 1 July. Tickets cost £25.00 and £5.00 of the ticket price is redeemable against a bottle of Hepple Gin purchased from the Wine Room. Local chef Terry Laybourne will be hosting The Great Northern Supper Clubs at the Saltwater Fish Co in Fenwick's Food Hall featuring a host of award-winning Great Northern Chefs who will share insights and anecdotes while cooking for an intimate audience. The Great Northern Supper Clubs will take place throughout the Summer, full details of dates and chefs can be found here. Tickets cost £75.00 for a multi course menu including wine. There will be a number of Producer Events held at Porterhouse in the Fenwick's Food Hall, celebrating some of our great northern producers who will be showcasing their exciting products. The Producer Events will be taking place throughout the Summer. Ticket prices vary but start from £50.00. There's something quite special about being let loose in a shop at night and this Summer Fenwick's Food Hall will be hosting a pop up night market where you can enjoy live music as you browse food stalls and pop up bars showcasing the finest food and drink. Tokens can be spent at the gin, wine, champagne bars or at the selection of food stalls including oysters, tapas, cheese and charcuterie or, my personal favourite, the eclair bar. Last entry to the night market is at 9:00 pm and all of the restaurants in the Food Hall will remain open until 10:00 pm so you can enjoy the special opportunity to indulge in some late night dining in Fenwick. The Fenwick Food Hall Night Market takes place on Friday 13 and Saturday 14 July. Tickets cost £15.00 and include entry, 1 drink and three tokens. Having had a little taster of what's to come I can't wait to celebrate the Great Exhibition of the North at Fenwick this Summer. See you in the Food Hall? I was invited to experience Fenwick x Hipple Gin Window Experience and received a complimentary ticket. How have I been living in the North East for five years but still not made it to Kielder? As one of the most well known tourist attractions and beauty spots in the region it may seem a little odd that we only made our first visit last week but, truth be told, I think I've been "saving it for best". You know when you have something really special in your wardrobe that you're just leaving for the perfect day? Kielder has always been my special dress, I've been saving it for a day that might never arrive! So with some sunshine on the forecast we decided to finally begin planning a day trip to Kielder, something I soon realised was pretty overwhelming, so I've put together this first time visitor's guide to Kielder Water and Forest Park to help any of you who may also be visiting for the first time. 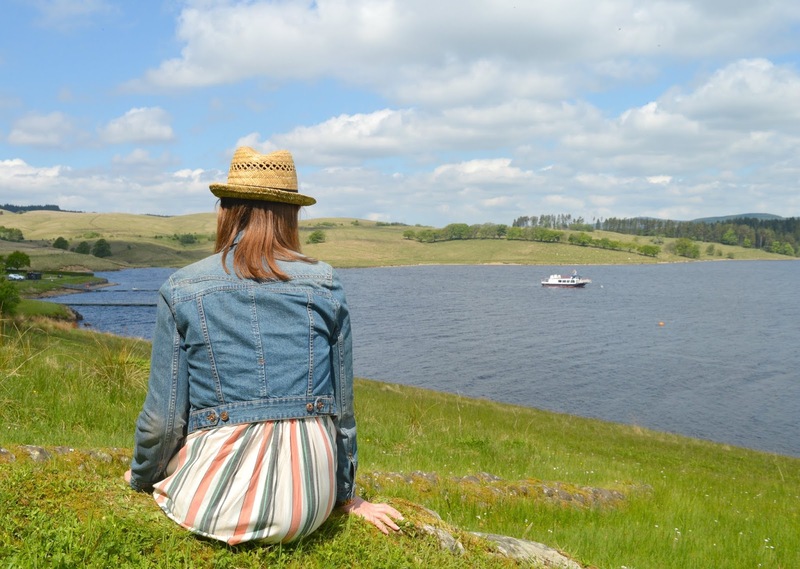 The Visit Kielder website is a fantastic tool to help plan your first visit and really opened my eyes to how much there is to see and do there. If you are visiting for the first time I highly recommend a good look at the site before you go and download and save any information you may need as the phone signal at Kielder is pretty non existent! 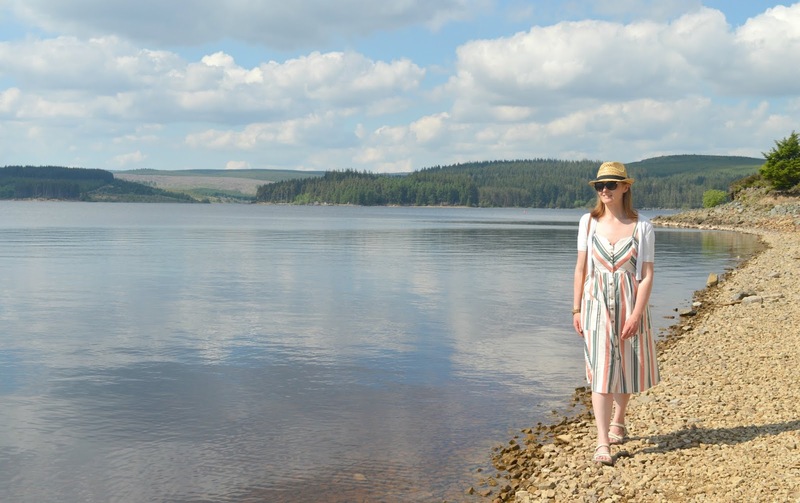 Kielder is around an hour and 20 minutes drive from our home in Newcastle but the journey was so beautiful it felt like our adventure began as soon as we got out into rural Northumberland. 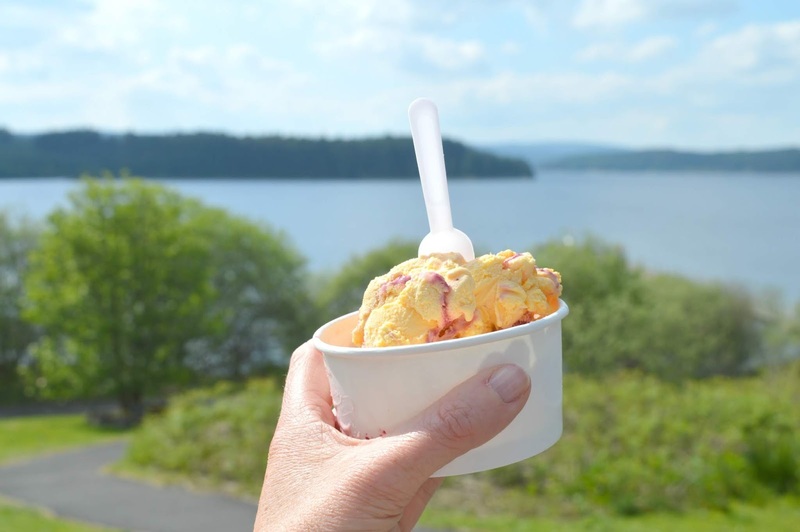 The roads to Kielder offer the most beautiful views and the rollercoaster style roads certainly keep you entertained. Make sure you keep your eyes open for wildlife (we saw a stoat and a deer ran right in front of our car!) We got our first glimpse of Kielder Water from the road and we both just turned to each other and said "wow" - it is pretty breathtaking! Kielder Water is the UK's largest manmade reservoir, created to support the sudden demand for water in the 1970s, the lake took over 10 years to build and then a further 2 years to fill. Holding 200 billion litres of water it has 27.5 miles of shoreline and attracts more than 250,000 visitors each year, no surprise when the park also boasts 250 square miles of beautiful forest and the darkest skies in England. We are so lucky that this wonderful spot is in Northumberland. There are three main carparks on the south side of the Reservoir that all have their own facilities and attractions. 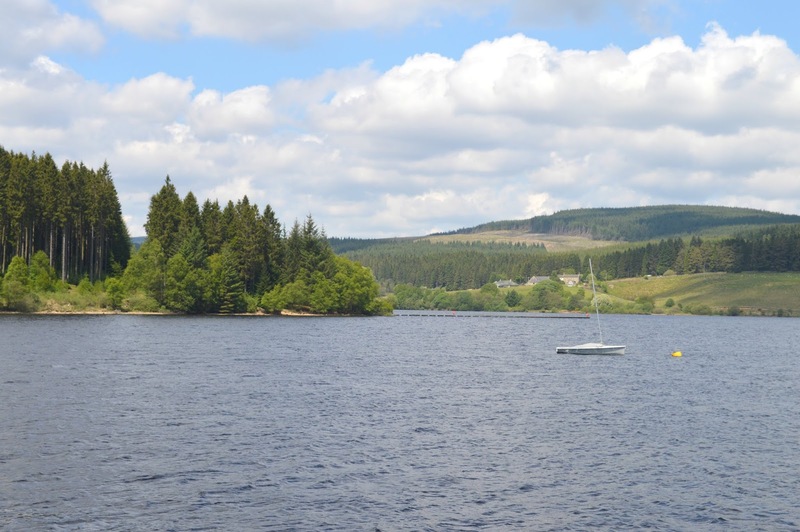 If you prefer to enjoy the more remote parts of Kielder then the other side of the water has no carparks or facilities so a great option if you truly want to get lost in beautiful views and nature. As it was our first visit a lot of people had recommended that we navigate our way round Kielder by car so we could get a real feel for the place. Parking costs £5.00 for the day and you can use the ticket all day to park at all of the carparks across the site. We began our day trip by parking at the Kielder Waterside Carpark, the best place to stop if you want to enjoy some Mini Golf (I'm still not sure how I managed to get Simon away from that! ), the Falcon Centre and the Boat Inn restaurant and bar. 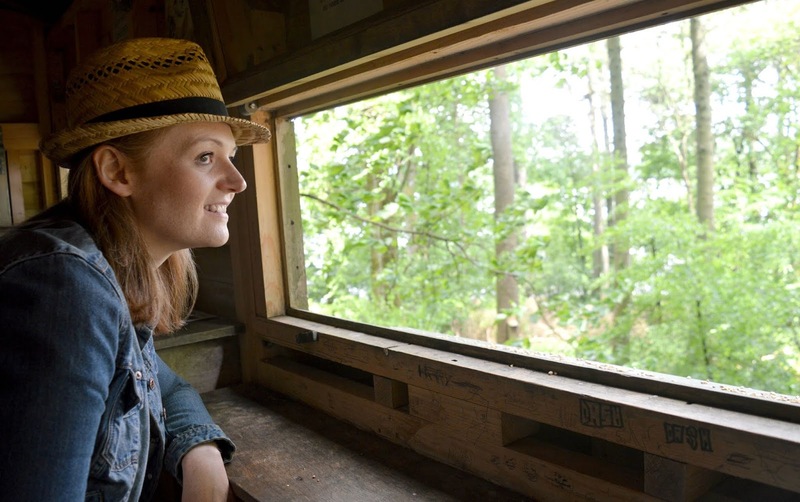 We decided to have a little potter through the woods to the Bird Hide to see if we could spot any Red Squirrels. Kielder is home to around 50% of the country's red squirrels and having seen reds in Northumberland a few times before we were hopeful to see some during our visit. We crept our way to the bird hide and found a fellow bird and animal enthusiast inside who thrilled us with tales of his wildlife spots throughout the North East (his Kingfisher photograph made me so jealous!) 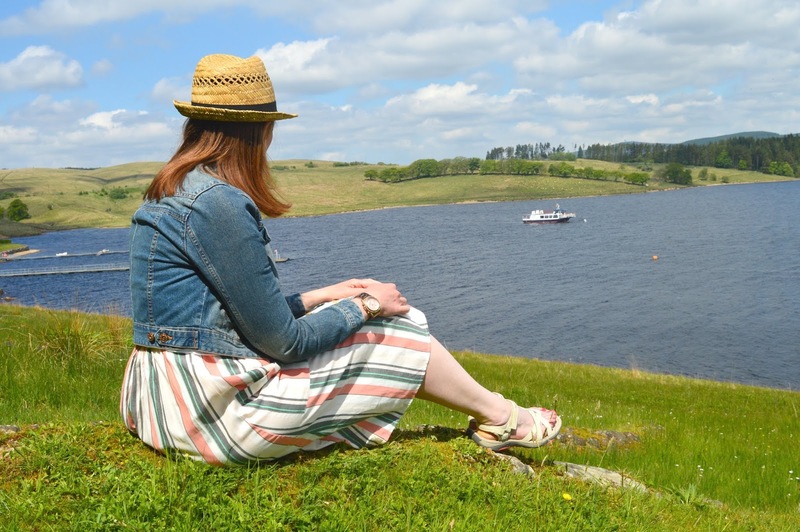 We sat for an enjoyable hour or so happily chatting about our favourite beauty spots in the area and spotting some of Kielder's beautiful birds. Unfortunately the red squirrels were in hiding so in the end we had to admit we were defeated. Widlife spotting is hungry work and with plenty of stunning picnic spots we were spoilt for choice deciding where to have our sandwiches. If the weather is nice I highly recommend taking your own food to enjoy rather than eating indoors, we found a lovely spot to eat with some amazing views of the water and didn't see another person in the whole time we sat there - bliss! Make sure that you have the Kielder map downloaded on your phone when you travel between the carparks as it points out all of the best viewing points with a few near some of the smaller carparks. 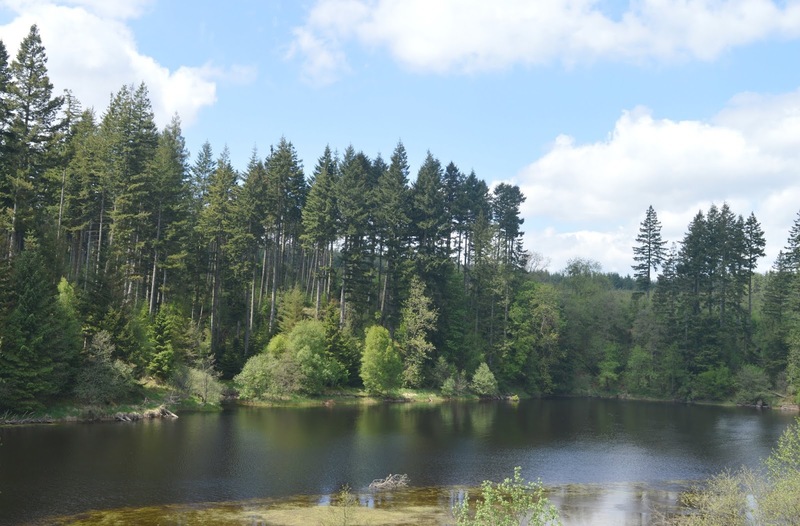 Between Waterside Park and Kielder Castle we decided to stop at Matthews Linn for a short stroll to a viewing point. 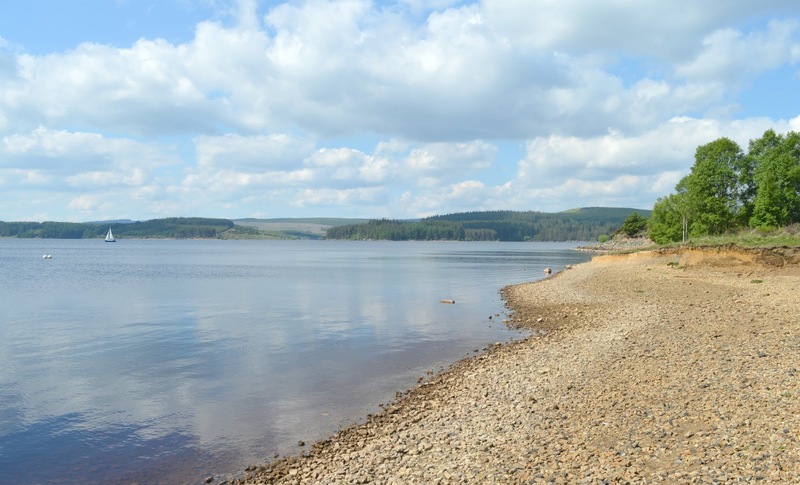 Unfortunately when we got to the viewing point a family eating their packed lunch had beaten us to it, luckily there are endless beautiful views at Kielder, so if you can't enjoy one the chances are if you walk a little further you'll find another. We decided to carry on a little further and were blessed with some lovely views from the top of a hill that we battled to walk up in the blistering heat. Although it's very tempting to go "just a little further" every time you take a step we just about managed to drag ourselves away to get back to the car and discover our next stop of the day. 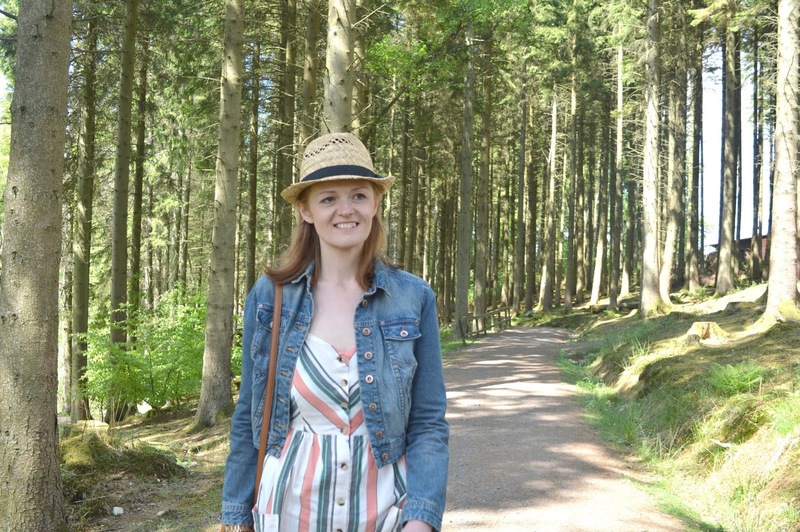 We moved onto Kielder Castle next, the best base if you want to explore Kielder Forest - a welcome change of climate on a hot day, strolling under the shade of the trees was such a relief. There are loads of walks to do in the forest with plenty of leaflets available to guide you along the way. We spent quite a bit of our time at trying to find another red squirrel hide that we're not sure even exists. The maze of paths through the forest is quite overwhelming and even my husband's expert navigation skills didn't help us this time. Getting lost in the woods made us crave some home comforts so as soon as we managed to make it out we were straight to the tea room for a cuppa and a couple of scones. 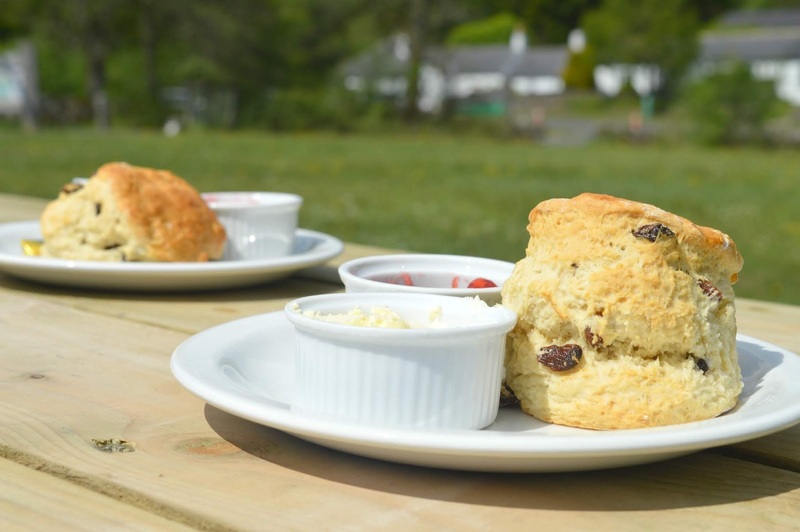 I have to say we weren't too impressed by the food on offer at Kielder Castle and our scones were really lacking any flavour (we happily rectified the situation by covering them in jam!). The cake selection was pretty poor and even the ice-cream freezer was lacking any excitement. Our favourite part of Kielder was our last stop of the day, Tower Knowe and I think this will be the place that we'll be returning to on our next visit to enjoy a longer walk. We had a short stroll from the carpark and discovered the most beautiful views at the edge of the water, it was the most breathtaking scenery I have ever seen in the North East and I could have sat there for hours and hours enjoying the sunshine and taking in those dreamy views. I did not want to leave and refused to move until Simon had promised me that we would return soon for a longer walk. In desperate need of a cool drink we stopped by Cafe on the Water and soon realised that this was the place where we should have got a treat from. Far better than the tea room at Kielder Castle, the cake selection was great and there was also a freezer packed full of ice-cream. Despite having just had a scone we couldn't resist getting a scoop of ice-cream each and grabbing ourselves a chair outside on the sunny terrace to enjoy it. 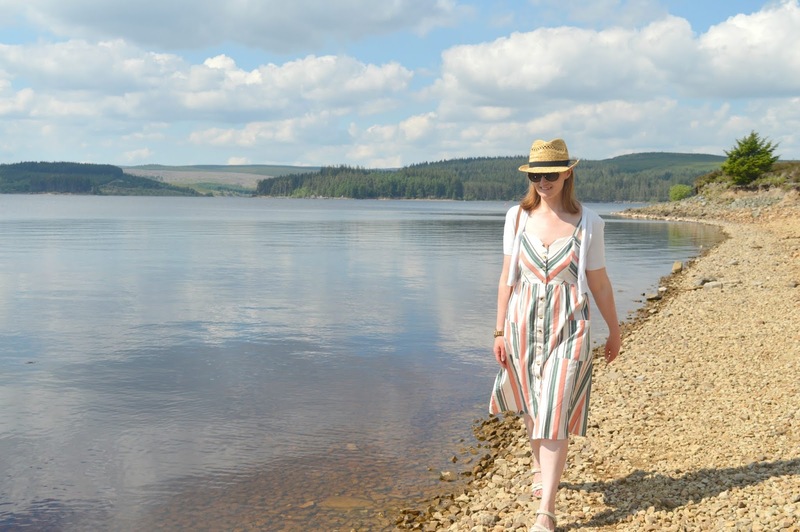 We absolutely loved our first ever visit to Kielder and I have dedicated a lot of my time since our return looking up the best places to stay so we can make a proper weekend of it next time. 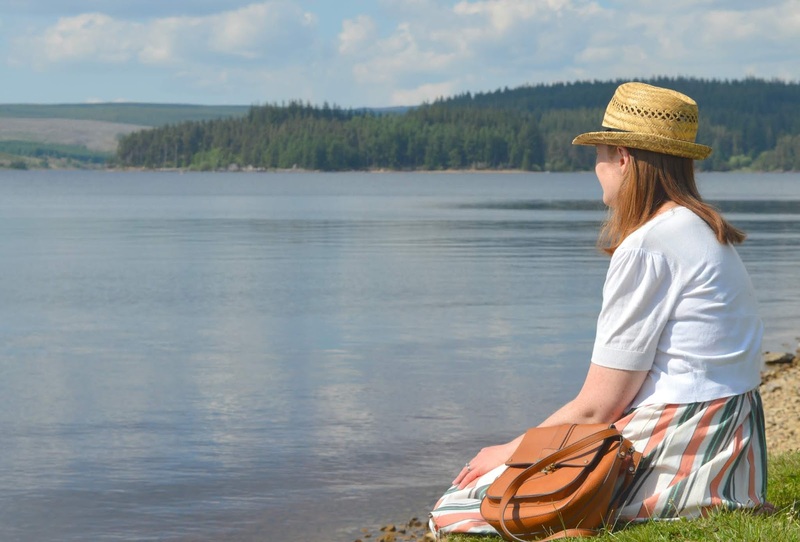 I just can't believe that it took us so long to discover the beauty of Kielder and I can't wait to go back! Sometimes the most fantastic places are right on the doorstep! 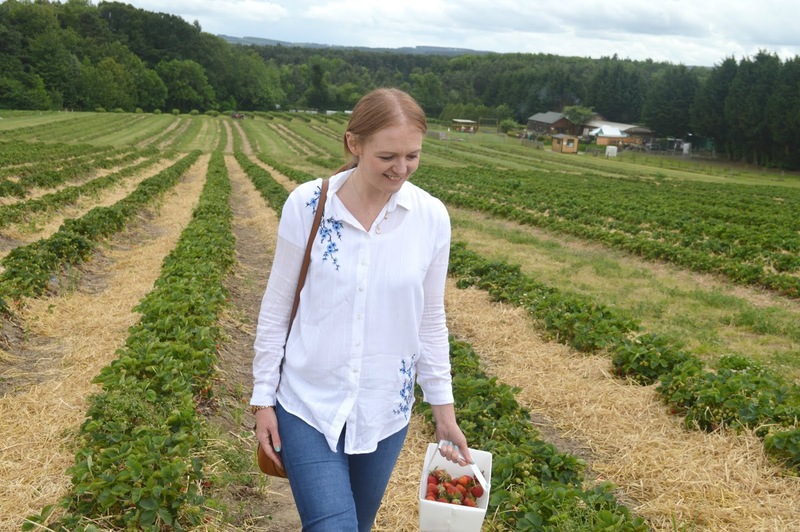 Another adventure on my North East bucket list ticked off, we have finally been strawberry picking at Brocksbushes Farm Shop in Northumberland (it's only taken me five Summers to get myself there!) and it really was everything that I had hoped it would be. There are very few parts of my childhood that I remember clearly (I don't have the best memory!) but something that has always stuck with me is strawberry picking. I remember as clear as day skipping about the strawberry fields with my sisters, picking handfuls of bright red fruit and stuffing as many as we could into our mouths before our Mum caught us. Strawberry picking as children definitely involved more eating than it did picking! 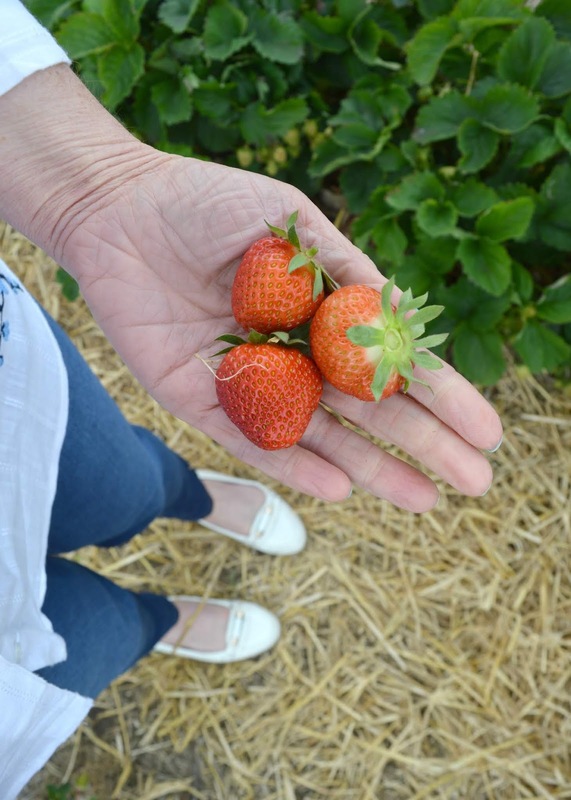 Strawberry picking at Brocksbushes was on my radar before I even moved to the North East, their pick your own farm is very well known in the region, in fact if you asked me where else you can go in the North East to pick strawberries I wouldn't have a clue! 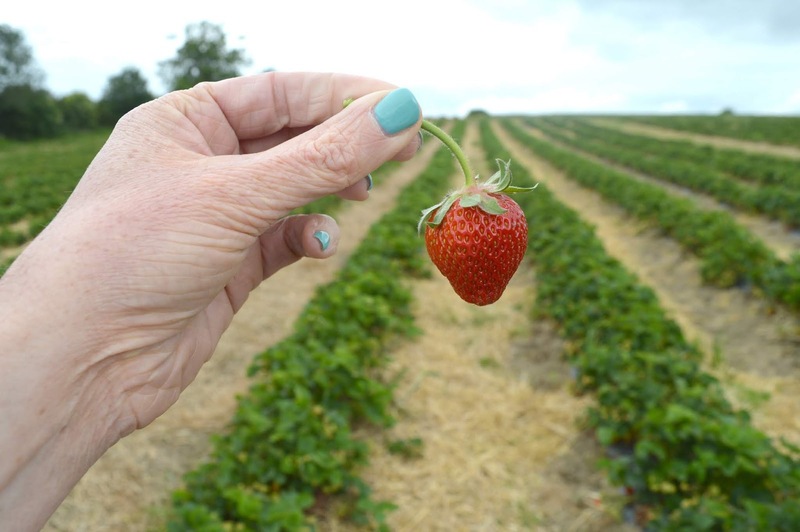 The strawberry fields at Brocksbushes opened at the beginning of June and after a very sunny start to the month I'll admit I was a little worried that we'd struggle to find any ripe strawberries for picking. 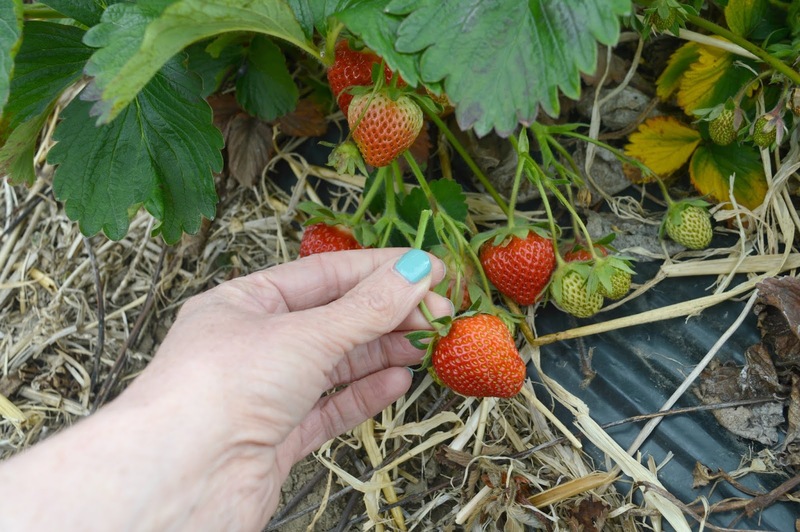 It certainly felt like everyone on my social media was at Brocksbushes filling up baskets of strawberries - had they picked them all? We turned up on a pretty cloudy day (a good way to ensure the fields aren't too overcrowded with others picking!) and made our way to the little pick your own shed to pay our £1.00 entrance fees and collect our little basket. Asked how many baskets we wanted we were very sensible to ask for just the one - with only two mouths to feed we didn't want to end up going home with a truck full of fruit! 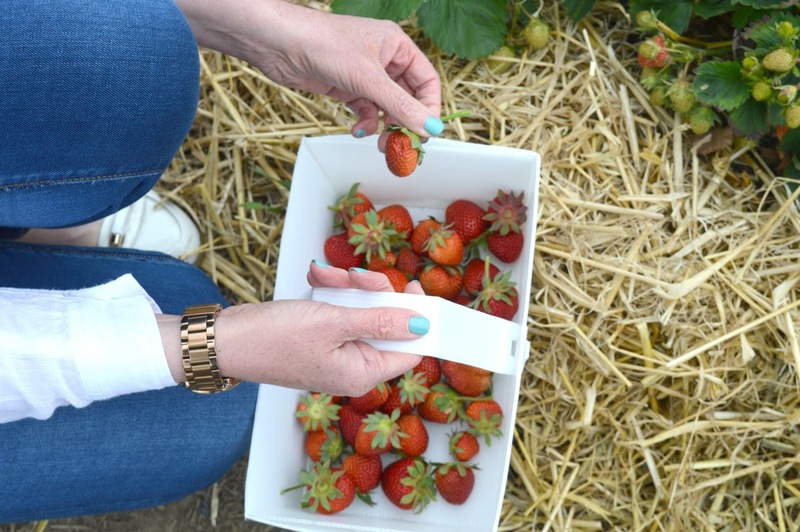 Once we'd paid our deposit for our basket we were shown where to find the strawberries and given some helpful tips on which areas had the most amount of fruit. I'll admit I thought that we'd have to trek a pretty long way up the field to discover the best berries but we'd only taken a few steps before we discovered loads of juicy ripe red strawberries ready for picking. Diving between the rows of plants, carefully peering between the leaves to hunt out the very best we had a fantastic time picking our fruit and it definitely is a little addictive. 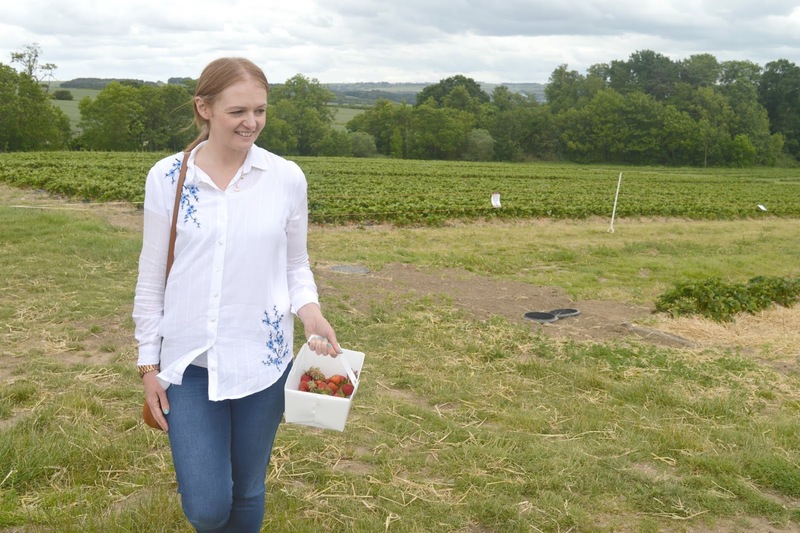 I don't know what it is about picking strawberries that's so great - maybe it's the peace and quiet, being out in the fresh air or that rare chance of being able to pick your own food but strawberry picking at Brocksbushes was the most enjoyable way to spend an afternoon. I wish so much I was good in the kitchen and could rustle up a strawberry tart or make my own jam, but knowing that our skills are pretty limited we made sure we picked just enough to enjoy with some ice-cream over the weekend and for me to throw on top of my cereal. I do usually buy a punnet at the supermarket every week so it was a lovely change to have some proper fresh Northumbrian strawberries to enjoy. Our basket of strawberries cost us £3.80, an absolute bargain and I'm quite tempted to go back every week in the Summer to keep us well stocked! I'm a huge supporter of eating in the independent restaurants in Newcastle and, whilst you'll certainly not find any chain restaurant snobbery around here, I am a big believer of supporting our local businesses. We are so blessed in Newcastle to have so many wonderful small businesses treating us to the most delicious dishes from all over the world and I'd encourage you all to make sure you try as many as you can. So whilst I love devouring pasta at Pizza Express or enjoying a cheeky Nandos as much as the next person I thought I'd share with you a little look at the alternative places in Newcastle to eat if you usually find yourself stuck at the same old chains. With so many wonderful places it makes me so sad that people are missing out on something truly special! Nandos is hugely popular with a constant buzz on social media, the favourite for date night it seems everyone is loving chicken! But did you know that here in Newcastle we have our very own independent alternative? Coop Chicken House serve up the finest damn chicken in the Toon! Their chicken is perfectly cooked over a fire pit then served up with a huge choice of sides. When it comes to sauces they rule with a massive selection of small batch craft sauces to choose from including their famous nuclear scorpion sauce. Ever think that sitting in Starbucks or Costa gets a little boring? Grab your usual, take a seat and you could be sitting in any one of their coffee shops across the country - YAWN! Here in Newcastle we have the finest selection of independent coffee shops including the mighty fine Laneway & Co who serve the highest quality coffee from the UK's best roasters. Self confessed coffee nerds, these guys know how to make the perfect cup! Why anyone would choose to go to Five Guys over Fat Hippo is beyond me? 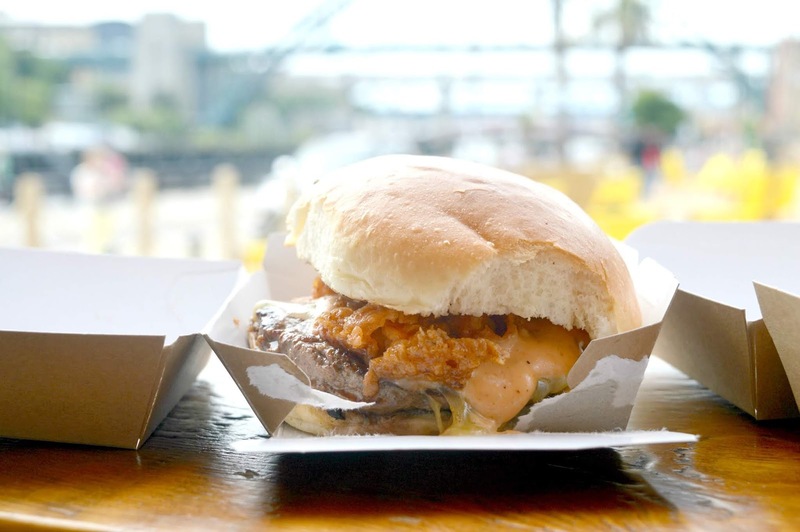 Every burger fan in the Toon knows that Fat Hippo serve up the best burgers in the North East! 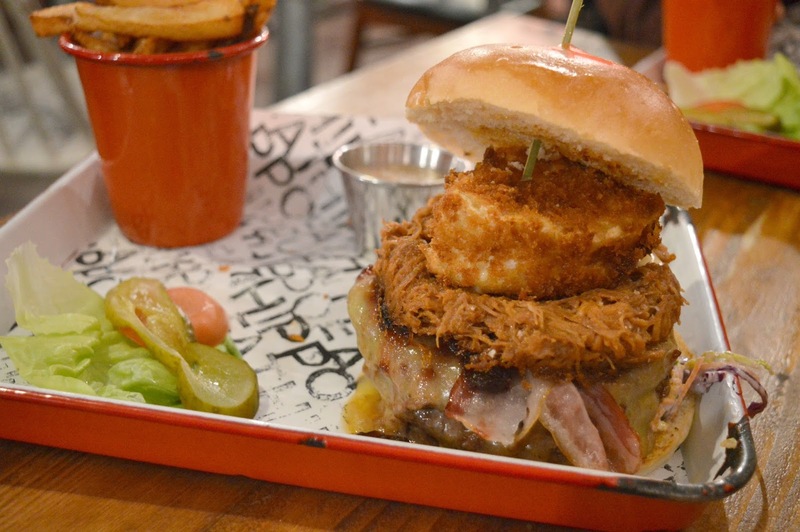 We've enjoyed many burgers over the years and believe me, none have ever come close to beating the Fippo. Their burgers are huge and always stuffed full of so many tasty fillings that you immediately end up with delicious sauce running down your arms. Find me a Five Guys Burger that does that! I used to really enjoy Krispy Kreme, now I honestly can't be bothered with them and that's because I've found local Doughnut Kings, Proven. The Proven doughnuts are hand rolled and filled with the most amazing fresh fillings that taste so good I honestly can't imagine myself ever biting into a Krispy Kreme ever again! 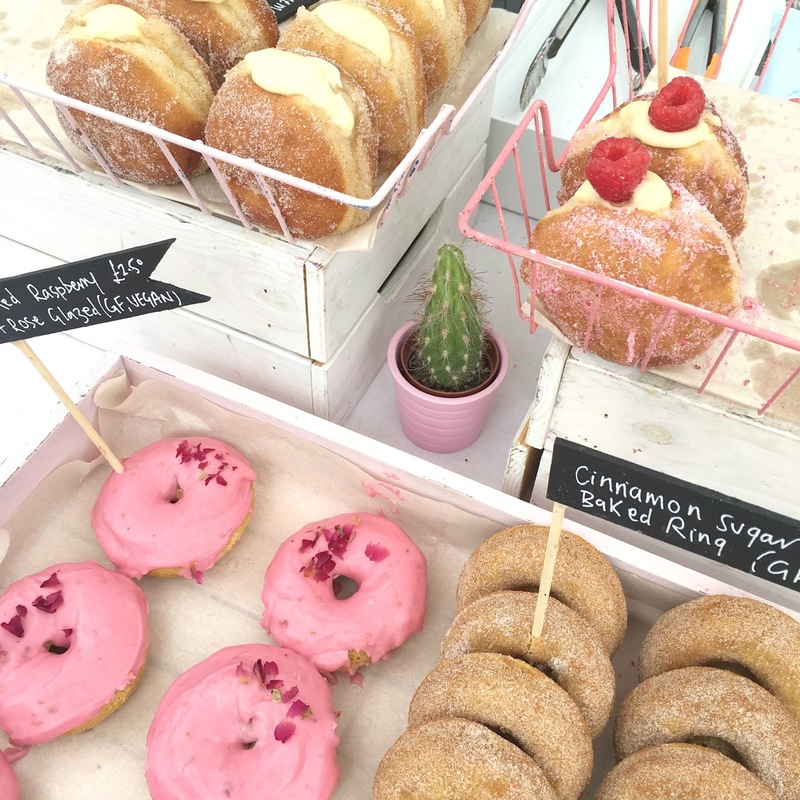 Follow Proven on Facebook to discover where you can get your hands on their doughnuts - they pop up weekly! Zapatista will always be the best place to get Mexican in Newcastle and their burrito bar has the freshest ingredients perfect for making a mammoth burrito that'll fill you up for hours. The friendly service and fun interiors keeps us going back for more - it's our favourite place to head for a quick bite. Personally I've never really understood Patisserie Valerie, their cakes aren't all that amazing for the price that you pay and with so many fantastic cake shops in Newcastle there's always somewhere better to head to. Les Petite Choux is a family run business that pride themselves in serving up freshly baked cakes using the finest ingredients. 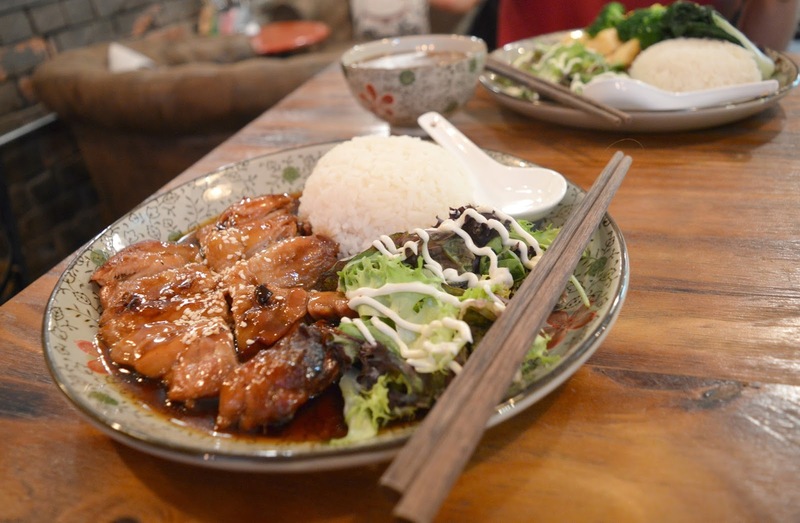 If you love Asian food then you really need to try Meet and Treat in Newcastle's China Town. This unique little spot brings far east asian cafe culture to the North East and their beautiful dishes are packed full of flavour with generous portion sizes and amazing value for money - we can't keep away! I can't see myself ever going to Carluccio again because we have discovered Newcastle's best pasta at Zucchni Pasta Bar. 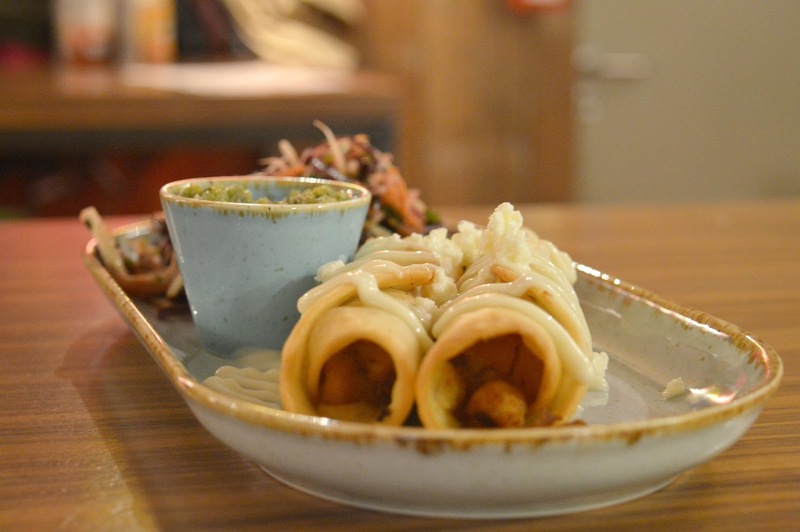 Creators of the most delicious dishes in the Toon, Zucchini serve up the most amazing hand rolled fresh pasta, bringing a true taste of Italy to the North East. Oh yes, and did I mention they do amazing desserts too? Nothing makes date night more romantic than heading out for some French food but do you really want to go back to Cafe Rouge when we have The French Quarter just around the corner? 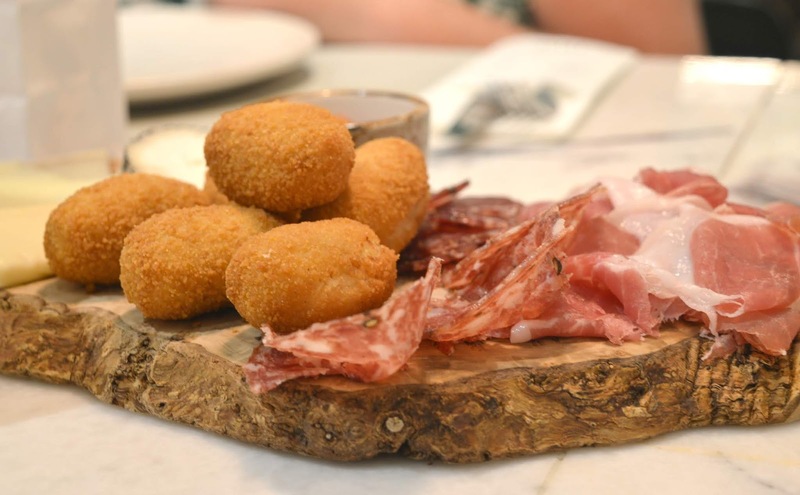 Their regularly updated wine selection and tapas style menu makes this little place really special. If you like your crepes served up with plenty of flare and personality you need to try Le Petite Creperie. 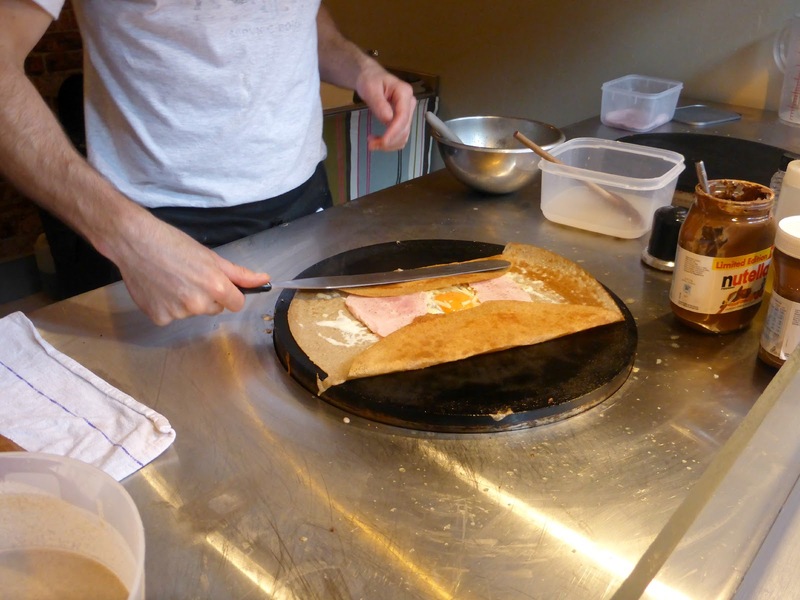 With friendly service and delicious fillings you can watch your crepes being prepared and then tuck into delicious authentic French goodies whilst wandering the aisles of the Grainger Market. There are, of course, plenty more independent restaurants in Newcastle and if you have any swaps of your own I'd love to hear any more that we should try! So next time you find yourself heading into the same old boring chain restaurant, stop, have a think and support local. There may be a far better alternative just a few steps away. 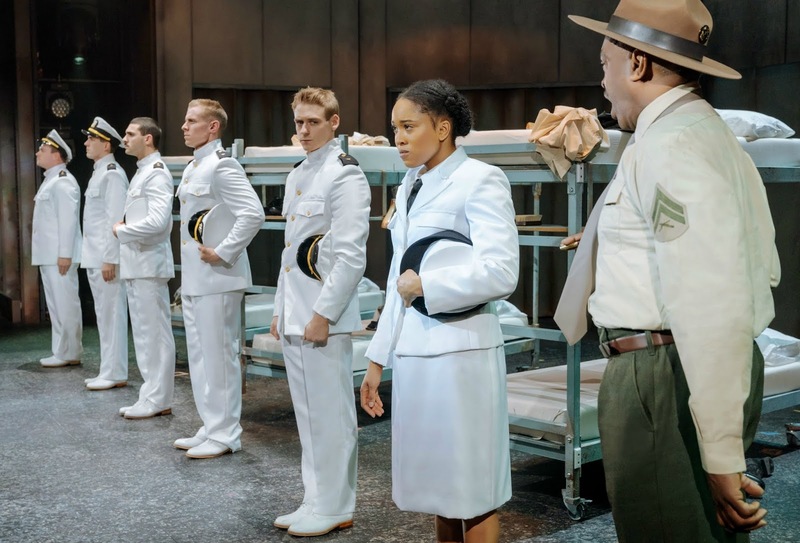 I have never seen the film "An Officer and a Gentleman" - my knowledge of it is pretty much limited to "Richard Gere in a white uniform" so when I was invited to the press night of An Officer and a Gentleman at the Newcastle Theatre Royal I took my seat knowing literally nothing about the storyline or characters. For anyone who, like me, somehow managed to completely miss out on seeing the 1982 Oscar winning film, An Officer and a Gentleman tells the story of trainee US Navy Pilot Zack Mayo who enters Naval Aviation Training with a lot of baggage and leaves a new man having learnt several very important life lessons. A story filled with love, tragedy and a good dose of catchy tunes from the 80s including Girls Just Want to Have Fun and Material Girl, the brand-new musical brings the story from screen to stage in an explosion of perfect choreography and music. Taking my very own Gentleman along for date night (yes I'm talking about my husband, not Richard Gere!) knowing nothing about the story I settled myself down with no expectations and before I knew it I was completely immersed in the story and fully invested in the characters. The cast boasts some of the finest talent from the West End including, my star of the night, four time Olivier Award nominated Emma Williams as Paula Pokrifki. Her solos gave me goosebumps and her presence on stage was spellbinding, I just couldn't take my eyes off her. It was the ladies who really shone for me on stage and their powerful voices gave the story some punch. 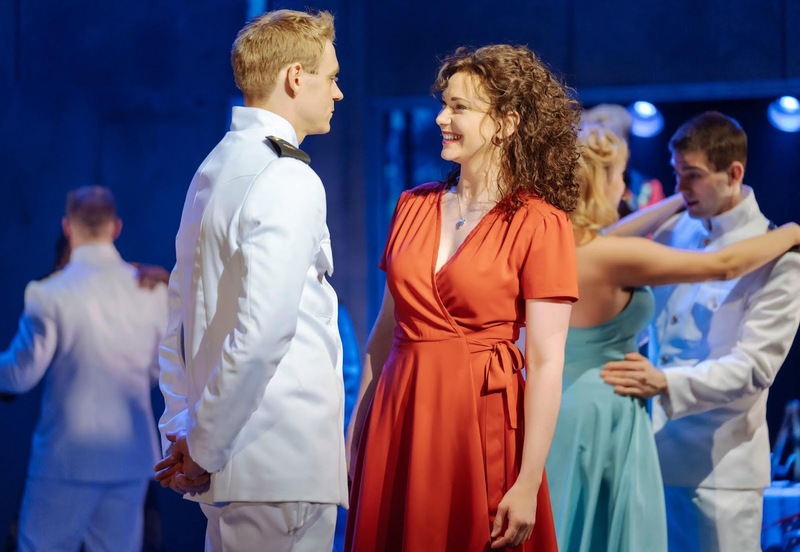 You may be wondering how the story works as a musical but the talented cast really deliver and the reworking of the classic 80s songs really work in a story that's actually pretty dark! Of course I have to give a mention to our hero of the night Jonny Fines who got the theatre into a bit of a tizz with his amazing arms and beautiful voice, and when we finally got to "that" important end scene he appeared on stage to a huge cheer. It seems like the whole theatre had been waiting for the moment. When the opening few bars of "Up Where We Belong" belted out over the theatre we all knew exactly what was going to happen as the film's most iconic scene played out in front of us. Sure it's pretty cheesy but at the same time who wouldn't want the love of their life to stride in to their place of work and carry them out the door? It's impossible not to get swept away in the romance of it all. An Officer and a Gentleman is the perfect night out for old school romantics or those who just love a good 80s classic. 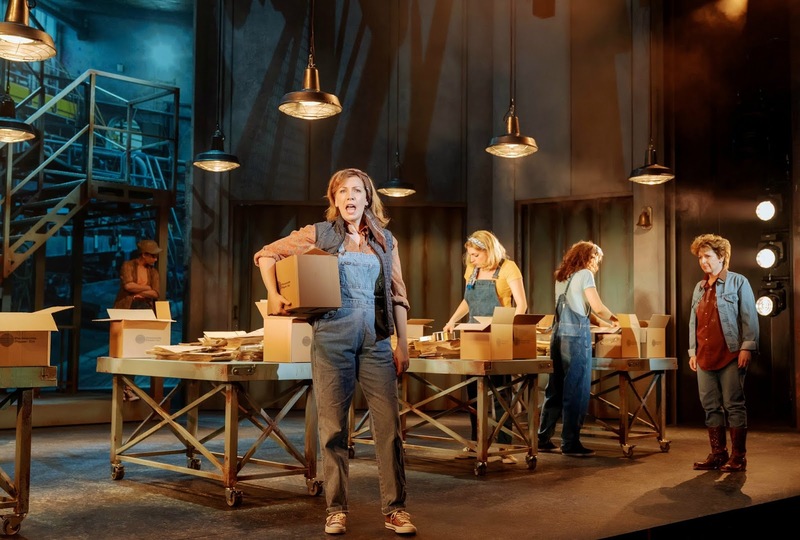 Feel good theatre that leaves you feeling warm and fuzzy and with an uncontrollable need to pull your old dungarees from the 80s out of the back of the wardrobe. An Officer and a Gentleman The Musical is at the Theatre Royal Newcastle until Saturday 23 June and tickets start at £23.00 and you book your tickets here or by calling the Box Office on 08448 11 21 21. I was invited to the Press Night of An Officer and a Gentleman and was given two complimentary tickets in exchange for this honest review. I can't remember why or when I became obsessed with doughnuts but one day, out of nowhere, I found myself suddenly craving sugary doughnuts, and I don't mean those naff ones you get in Tescos or the average ones you find in Krispy Kreme. I'm talking huge, fluffy doughnuts with the most amazing fillings - the kind of doughnuts that make your Instagram look insane! For a long time it felt like Newcastle had nothing for the doughnut fan, and then Proven arrived and everything changed. This is my Newcastle Doughnut Love Story! I'm not sure when or how I first discovered Proven Doughnuts, I think I had reached the point where I was so desperate to find some proper doughnuts in Newcastle I had taken to frantically searching Instagram for them and then one day, without warning, they appeared - the doughnuts I'd been dreaming about. It wasn't long before we got our first try, Simon and I bought ourselves a modest selection from one of the local food markets and from the very first bite, it was love and I knew this was going to be a bit of a problem for my waistline! Now I wouldn't like to say that I'm a Proven Doughnut stalker, but if I'm being completely honest maybe I am. I love to keep an eye on where they're appearing every week, people send me messages on my Facebook and Instagram telling me where they are and it seems that everyone in the North East now knows that I'm a Proven Doughnut addict! I count down the weeks until their monthly pop up at Fenwick's Food Hall rolls round, spend every weekend wondering if there's any way I can get myself down to the Quayside market for my fix and consider driving miles out of my way for a morning coffee at Kith and Kin just to get my hands on some Proven sugar. I am doing my best to work my way through all of the flavours, whilst trying so hard not to be too greedy and grab myself an entire box of doughnuts every time I see that beautiful little Proven Doughnut stand in front of me. Just a little casual glance through their Instagram makes me realise I'm not the only person in Newcastle going slightly loopy for Proven Doughnuts, it seems we all like to spend our time sharing photographs of our treats and I love that there are people out there just like me who enjoy waiving their Proven Doughnuts precariously over the River Tyne to get that perfect shot of a doughnut and the Tyne Bridge! Handmade in Newcastle, small batch and hand rolled these little beauties are made fresh every morning with each batch being proven three times for a total of 12 hours using organic fresh yeast and cold proving techniques to ensure the very best flavour. All of the delicious fillings are made from scratch using the best local ingredients and each doughnut is stuffed so full that when you take a bite you literally get covered in fruit, custard or cream - bliss! Remember when you were a kid and you used to challenge yourself to eating a doughnut without licking your lips? I'd love to see you try with a Proven Doughnut! I leave you with a Proven Doughnut tale from yesterday! You know it's love when you set an early morning alarm on a Sunday just to get yourself down to the Quayside Market for the full range of doughnuts. I must have been one of the first at the stall (doughnut nerd alert!) and whilst I meant to quiz them about their VERY exciting announcement that they will be opening up a doughnut shop where we can all get our fix every day I got so distracted by their new "Cherry Cheesecake" doughnut I completely forgot! Please tell me I'm not the only person completely addicted to Proven Doughnuts, any fellow fans please come out of hiding and show yourselves, we can start some kind of support group! Let me know if you share my Proven Doughnut obsession and your favourite flavour! I have declared this Summer the Summer that we truly explore, experience and discover Northumberland. Having spent our recent weekends enjoying the Northumberland coastline and discovering the picture perfect little towns and villages in the countryside I am keen to learn more about the beautiful county that has captured my heart since I relocated to the North East five years ago. So I'm delighted to be able to tell you that this is a Summer of free events in Northumberland thanks to Great Northumberland. Great Northumberland is 56 days of arts, culture and heritage events happening across the county celebrating all of the wonderful things that make this part of the world so special. Celebrating our rich history, diverse culture and colourful arts there are events to suit every taste and every age. The eight week Great Northumberland extravaganza opens on Saturday 7 July with a special showcase in Hexham, presenting a family friendly programme of music and street theatre as well as the chance to have a sneaky look at the full events list so you can get your diary filled with fantastic day trips and activities to keep you entrertained for the whole Summer. 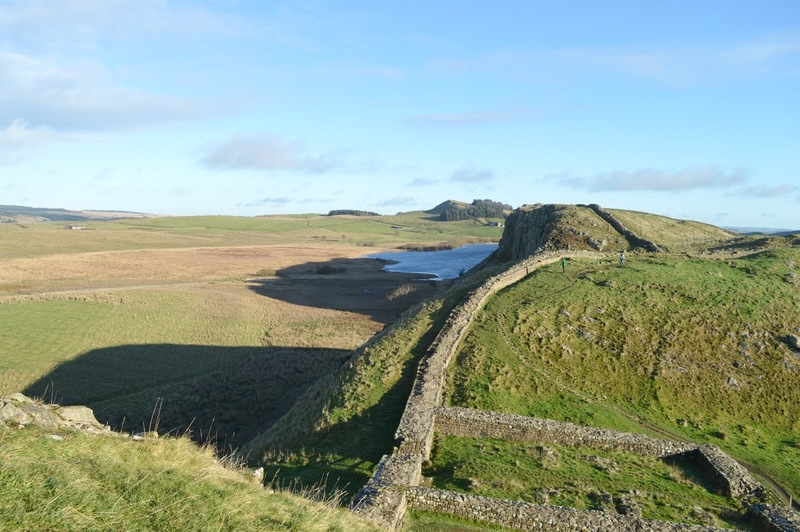 All of the county's best loved attractions will be involved including Cragside, Cherryburn, Vindolanda, Alnwick Gardens and Lindisfarne Castle. 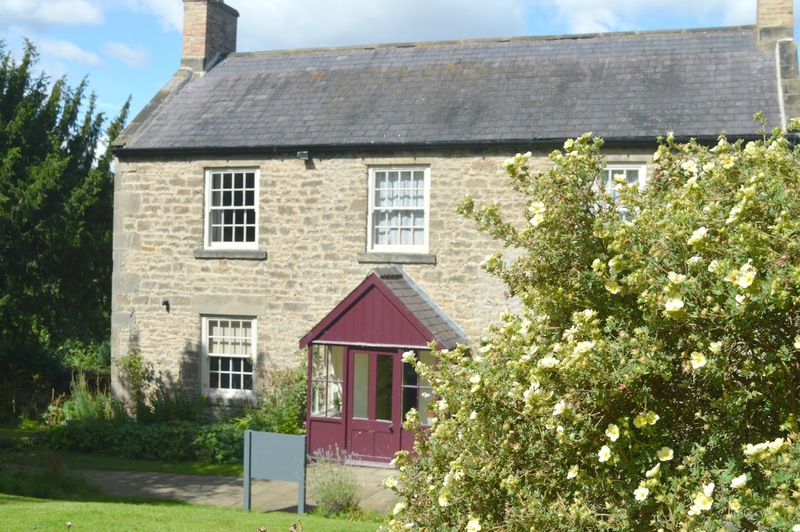 We are embracing the chance to rediscover some of our favourite spots in Northumberland as well as visiting some places in the region for the very first time. 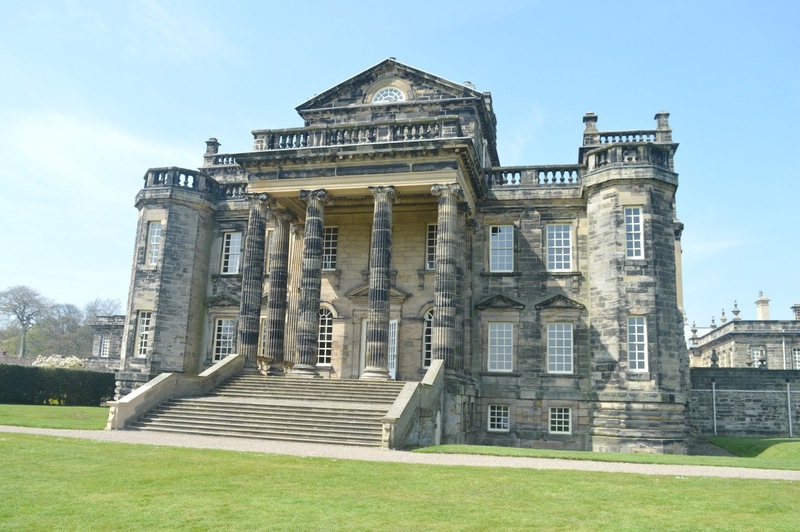 There are over 40 free activities taking place during Great Northumberland, far too many for me to tell you about so here are just a few of my highlights and the events that we hope to be checking out. Carnival Capers at Seaton Delaval Hall : This year Seaton Delavan Hall celebrates 300 years of dramatic history and, in honour of the Delaval Family, who were notorious for throwing the best parties in town, Carnival Capers promises a big party atmosphere at The Hall complete with music, performances and parades throughout the grounds. Alnwick Alive : Enjoy watching Alnwick Market Place come to life with an open air day of free entertainment including music, dance and performance set alongside a colourful market selling local food and crafts as well as traditional Northumbrian street food. Kielder Art and Architecture : Explore beautiful Kielder with a tour of the Park's award winning collection of art and architecture which includes more than 20 works including work by the Newcastle University School of Architecture. On certain dates you can join an experienced art curator on a minibus tour to explore the most well-known artworks. 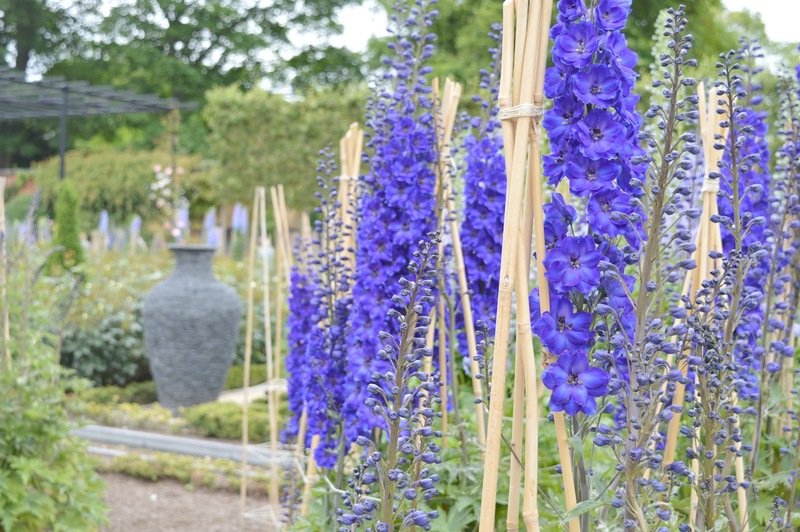 Cheeseburn Sculpture Gardens and Gallery : Discover contemporary sculpture and artists projects in the beautiful grounds of Cheeseburn Grange Hall. Showcasing new work by emerging North East artists and exploring how new technology is interacting with traditional sculpture techniques there will also be two curated gallery exhibitions. Mark Fairnington, Cherryburn : If you've never been to Cherryburn before then let this be your excuse to visit! The beautiful farmhouse was home to artist, printmaker and naturalist Thomas Bewick and this Summer artist Mark Fairnington will showcase a collection of paintings inspired by Cherryburn, the surrounding landscape and Bewick's life and work. Make sure you keep an eye on New Girl in Toon this Summer as we head out and about in Northumberland to discover some of the events happening as part of Great Northumberland and if you fancy doing some yourself you can find the full list of events on the Great Northumberland website here.